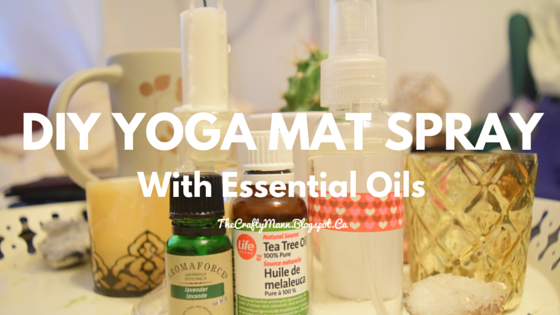 Ever hated how your yoga mat smells after a nice long hot yoga session? Now you can solve that! 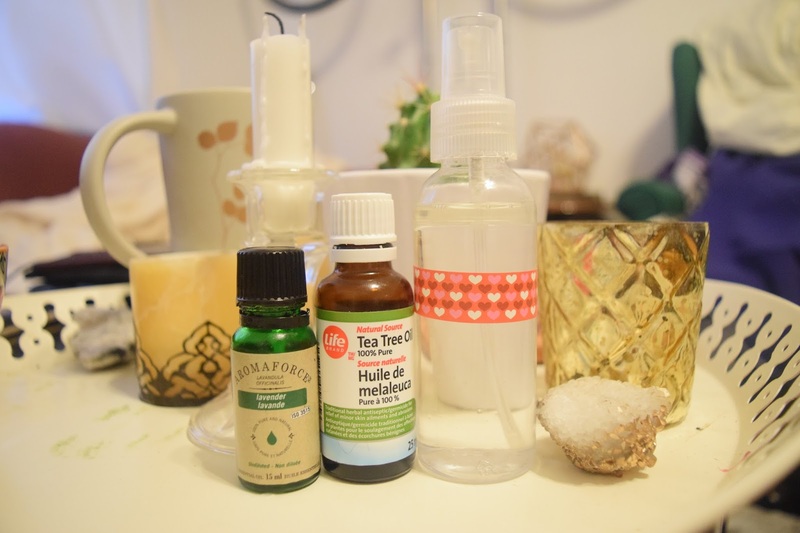 All you need is a little spray bottle (mine’s from a travel toiletry kit from Dollarama), tea tree oil to clean, an essential oil of your choice, and water. 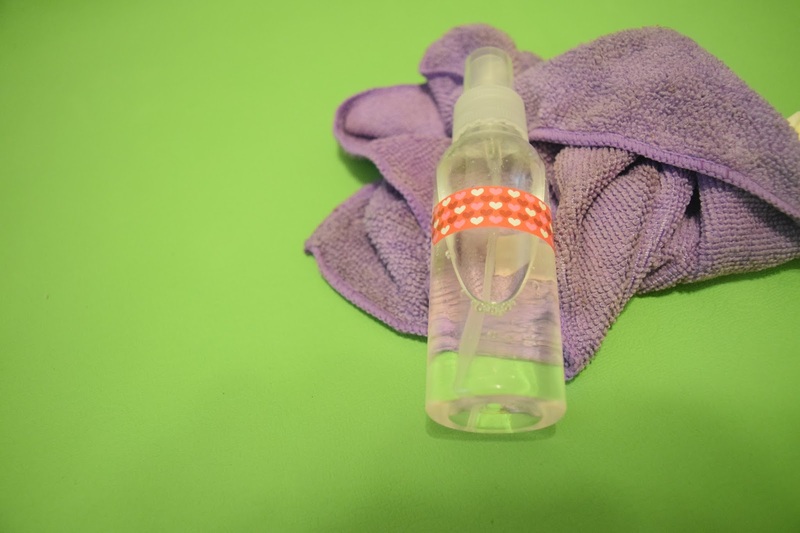 Put water in the spray bottle, and then about 20 drops of each oil, depending on the size of the bottle. The tea tree oil will kill bacteria, and the essential oil will scent it nicely. I have lavender for my air diffuser, so I used that.